Should we be worried if the speaker or subwoofer written on the back "Made In China" even tho it's a branded set? SHARP - owns by China (can see HON HAI (aka FOXCONN) name in SHARP TV nowadays, as they developed the software for the Android TV). Proton - Made by China. This bloke loves Audio Quest cables. What audio cables you guys prefer? Remember what I said about how the audio industry has one of the highest profit margins around? Your video proved my point. Like other companies, speaker makers must regularly innovate and release new products or the competition will pass them by. SVS certainly isn't one to rest on its laurels. I've had at least one new SVS sub find its way to my home theater each year for the past few years, and 2019 is no different. The company's latest 3000 Series offering consists a pair of subs—one ported (PB-3000) and the other sealed (SB-3000)—in relatively modest-size enclosures. Unfortunately, I had to choose just one, so I went with the SB-3000 for a few reasons. First, I'm aware from previous experience that SVS already knows how to make a reference ported sub and didn't want to give them a layup. 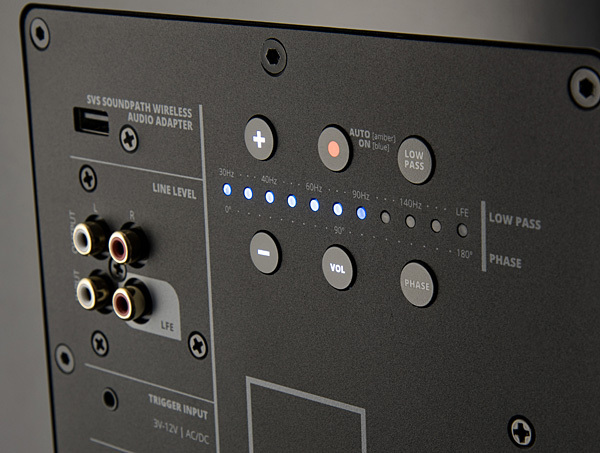 Second, the company's marketing states that the SB-3000's reference-level performance "has never been available at this price from a cabinet of this size." A bold claim, but can they back it up? Read on and see…. The genesis of the 3000 Series extends back a few years to the introduction of the company's 16-Ultra Series, where SVS brought ultra-premium performance to the under-$2,500 subwoofer category and earned a Sound & Vision Top Pick in the process. Next came the 4000 series, which featured slightly smaller woofers (13.5-inch versus 16-inch) and smaller enclosures at a correspondingly lower price. While this move provided customers with more choices, $1,500 remains a lot of coin for most. 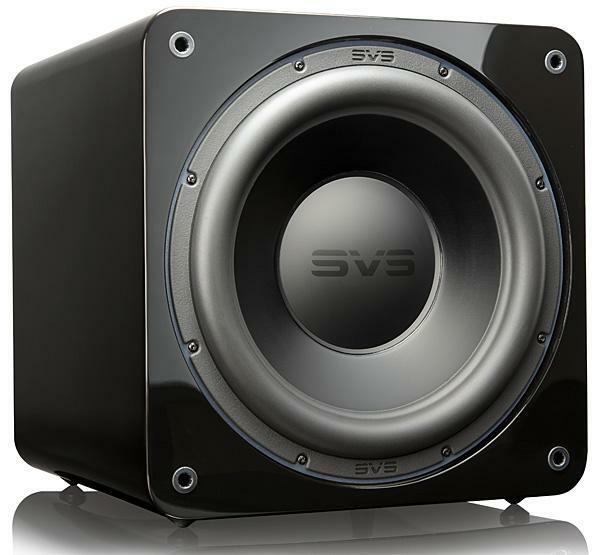 Could the engineers at SVS push the subwoofer price/performance envelope even further? As it turns out, yes, they could, and with the SB-3000 they have. The new SVS sub is on the dainty side as far as high-performance models go, measuring 15.2 x 15 x 17.8 inches (WxHxD) and weighing a comparatively back-friendly 54.5 pounds. 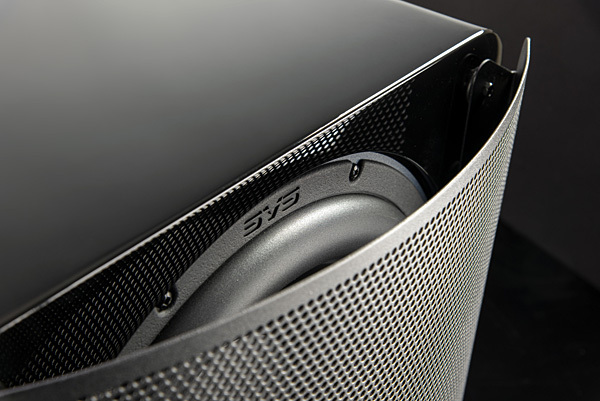 The SB-3000 is available in two finishes: Black Ash or Piano Gloss Black (reviewed here) with a rigid metal grille to protect the front-firing woofer. Generally speaking, as a subwoofer's cabinet and woofer get smaller, output below 25Hz is reduced, but the engineers at SVS have somehow found a way to coax sub-20Hz extension from this little beast along with surprisingly strong output. The custom-designed 13-inch high-excursion driver that the SB-3000 uses is possibly the company's best one yet. A new split-coil design seems to be the secret ingredient that delivers the big breakthrough in performance. When playing at moderate levels, only the middle part of the coil is used. Then, as the volume gets louder and the increased demand for low-frequency extension kicks in, the coil expands, allowing you to hear—and feel—the power of the music or soundtrack. The SB-3000 features a Sledge 800-watt continuous class-D amplifier with over 2,500 watts of peak power. Hookup options include line-level inputs/outputs, a 12-volt trigger input, and a port for an SVS Wireless Adapter (sold separately for $120). There's also a detachable grounded power cord. The SB-3000's rear panel contains digital controls to adjust the low-pass filter setting, phase, and volume, but I wouldn't even bother bending down to make those adjustments manually. Instead, I'd recommend downloading SVS's excellent 3000 Series subwoofer app, which uses your phone's Bluetooth connection to control the subwoofer. I feel that the SB3000 is the best sealed sub for the buck as far as the Malaysian market goes (RM5999 SRP). Great sub for a medium sized rooms, even more so if you go duals. The SB3000 is actually very close in performance to the older SB13U as well btw. Only loses out in the mid bass region by 3~4db (50-80hz).